SKU: WS246-AS. Category: Pet Signs. Tags: Collie, Warning Sign. 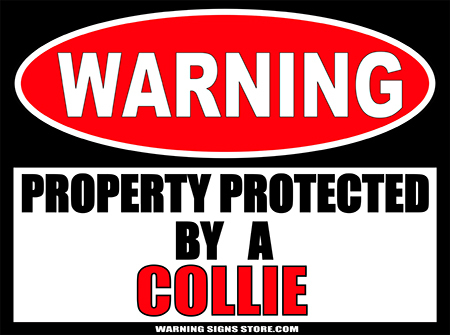 Do you have a Collie for a guard dog? If so, this heavy-duty warning sign is for you! Whether your Collie is truly a guardian, or just a big fluffy bundle of love, he or she will appreciate knowing they’re appreciated! 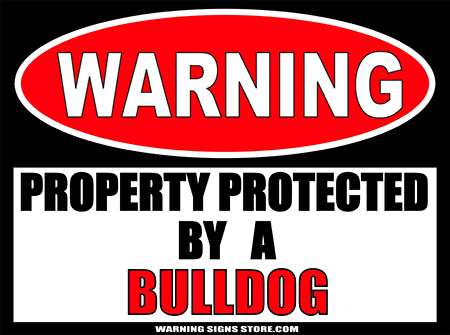 And Warning Signs alerting intruders to guard dogs or yappy dogs are great burglary deterrents. This sign measures out to approximately 9″x12″. It is printed in a glossy finish with eco-friendly inks on a premium vinyl polymer and backed with 0.040 gauge aluminum. Our inks are UV resistant and designed to last 7-10 years, indoors or out. Aluminum has 2 pre-drilled holes for mounting and has rounded corners for your protection.